Do something that pleases you, do something that makes you feel elation and fulfillment. If you do it with all your heart, nothing can keep you off from it. Fasten your seat belts because we are back today again with a design dose to feed the design intrigue and craving of yours. These days you see, people are so much prone to technology that they spend like rich kings and queens on their gadgets and devices. Technology is fast pace and from kids to adults, nobody is safe from this plague. “Any sufficiently advanced technology is indistinguishable from magic.” We are in need of such commodities that bring us quicker results, that make the communication smooth and spontaneous that may help us to surf over the internet and provide help when we get stuck in the work place. For the experts and professionals these tech gadgets 2017 and devices are like food to the body, beats to the heart and oxygen to the lungs. They cannot do without them especially the graphic designers. Because in all their presentations and software they get their hands on the laptop and systems to make through their work responsibilities. If you got your clients sitting beside and asking you for a presentation (of the website design you made for them) here I am providing you free MacBook Pro photo mock-up that you can use to insert the layout of the website you made for them. Simply put the website design in this mockup to show how it is going to look on Apple MacBook Pro. This will make your presentation attractive, detailed and vivid to the eyes of your client and he will get the clues that how site is being intended, what changes are to be done and it will also come into terms with approval of your client. Have a look at it and let us know how far it really helps you out. Subscribe us for more updates from the design and art world. Here we go! 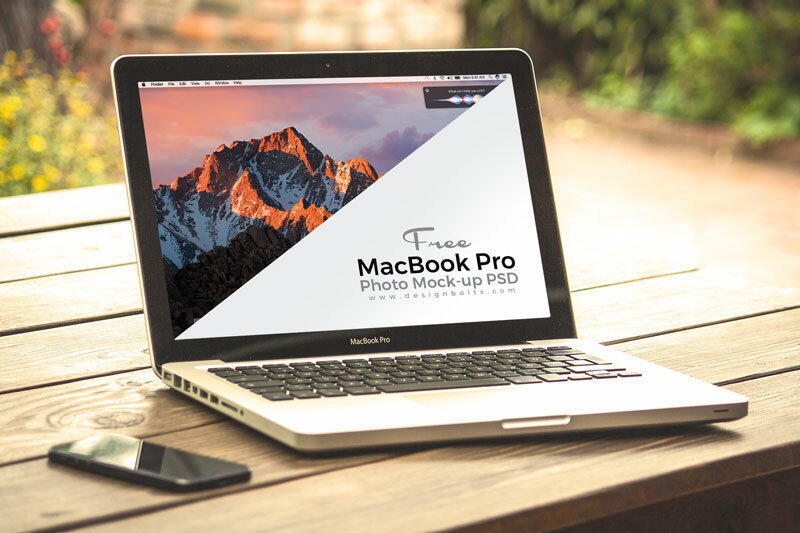 Free Apple MacBook Pro Mockup is allowed for personal & commercial use.